My name is @ryn2030312 (ryn for short). and my age is 149,349,466 years old, yeetlings i know what your thinking i am very young. 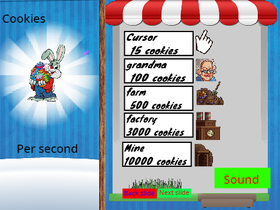 2.Normal Cookie Clicker Coming out after april. I am a elephant. YEET!